In part one of his exclusive interview with bwin, the 45-year-old shares his thoughts on his former club, ranging from their summer transfer business to their chances next season. What would you consider a successful season for Arsenal? I think Arsenal need to achieve Champions League football this season. There’s a lot of competition at the top of the Premier League, but they’ve been out of the elite competition for the last two years and the club desperately needs to get back or risking slipping down the pecking order for the longer term. 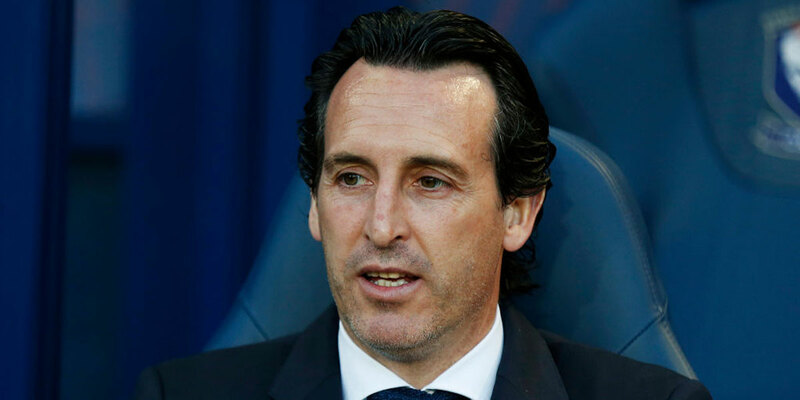 I think Unai Emery would accept fourth as a successful season and look to build on that for future seasons. The Europa League is a good journey, but the club needs the Champions League to position itself as a top club and recruit the best players. Would you rather a trophy or to qualify for the Champions League? Trophies are more important than Champions League football. Trophies go down in the history books and it’s what players remember at the end of their career rather than how many times they finished in the top four. That’s why the Europa League is the golden ticket because it’s both rewards in one competition. The League Cup isn’t a priority, but the FA Cup is another one I would rather win than finish in the top four this season. The FA Cup is the best domestic cup competition in the world and the British players will understand that value. Should Arsenal prioritise the Europa League again next season? The Europa League is a very attractive competition to win because it’s a very prestigious trophy and it guarantees Champions League football. Arsenal can afford to take their time to decide whether they’d like to prioritise the Europa League again because their squad is so strong they should easily make it through the group stages. If Arsenal are in and around the Champions League spots come February or March, I would expect Emery to prioritise the Premier League rather than risk repeating what happened last year by missing out. What do you think the future have in store for Calum Chambers and Rob Holding? I was happy to see Chambers sign a new deal. It’s a great opportunity for both him and Holding to try and impress the new manager and get a spot in the first team at Arsenal. It could still be that Chambers and Holding go on loan this season to try get more first-team football, so we’ll have to wait and see. I’ve been very impressed with both when they’ve had the chance at Arsenal and maybe the new manager will be a new lease of life for the pair of them. If they can impress Emery, they could get a run in the team no doubt about it. 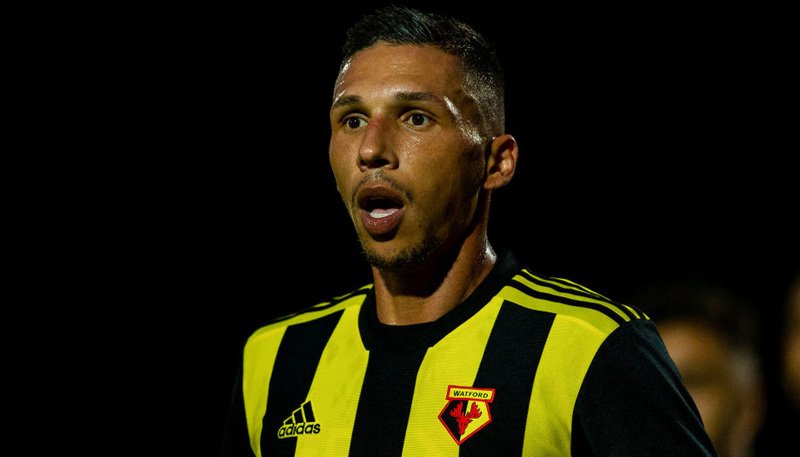 Who would be your first-choice defensive pairing for the new season? If [Laurent] Koscielny was not injured I would have said him and [Shkodran] Mustafi as Arsenal’s central defensive pairing. I think Koscielny is still the main man for Arsenal in defence when fit. He possibly tailed off towards the end of last year, but I expect him to return to form and be a rock this season. At the moment, it looks like the season could start with the new signing Sokratis [Papastathopoulos] playing alongside Mustafi. Jens Lehmann left as goalkeeping coach when Emery arrived. Should more Arsenal legends be involved in the club? 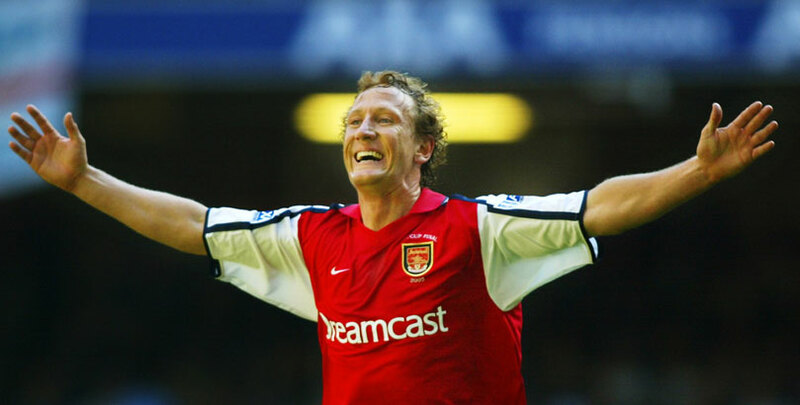 It was a shame to see Lehmann leave the coaching set-up, but Arsenal still have lots of former players in and around the club. Steve Bould will continue as assistant manager which is very important because he knows the club so well. Freddie Ljungberg has come in with the under-23s and that’s a very positive sign, I’m excited to see what he does there. Per Mertesacker will do a great job with the Academy too. It’s great to see so many former players at the club and investing in the future. Thierry Henry has left Sky Sports to focus on his managerial ambitions. What does the future hold? 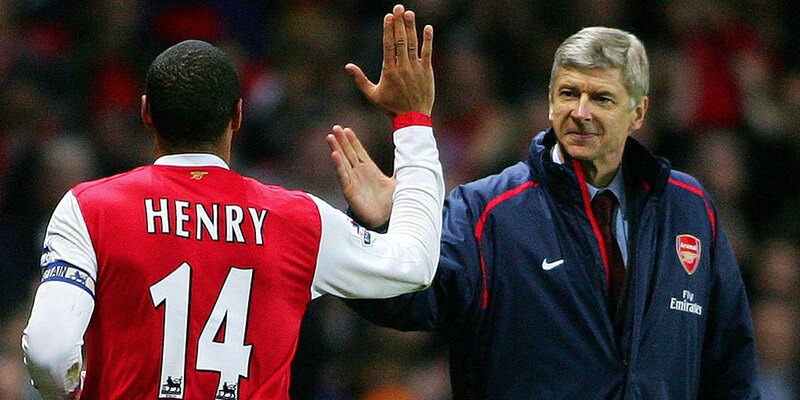 Arsene Wenger offered Thierry Henry a coaching role at Arsenal but told him he would need to leave Sky Sports. I think Thierry has realised that the boss was right that he can’t be both a pundit and a coach. Thierry Henry could be an Arsenal manager in the future and he would be a great fit. He’s a top man, he’s a very intelligent guy, he’s well respected, he loves the club, and he would attract top players from all around the world. I don’t think Thierry Henry will be at Arsenal in the near future because Emery is happy to stay loyal to his own coaching team. I think Henry will follow in the footsteps of [Patrick] Vieira by looking to get managerial experience elsewhere, build his pedigree and experience across Europe and look to jump on the chance whenever the job next become available after Emery. What do you think to the signing of Bernd Leno? Was this an area Arsenal needed to strengthen? I’m very happy with the signing of Bernd Leno, though I think Petr Cech will still be the first-choice goalkeeper. Leno is a young goalkeeper with great potential who’ll be looking to put as much pressure on Cech as possible. Goalkeeper is a vital position and Arsenal need a fantastic goalkeeper to be successful, so we need to hope Cech can pass on the torch to Leno for the years to come. Cech won’t be looking to leave this summer and Arsenal will be counting on him being number 1. I think [David] Ospina will leave the club this summer. rather than Cech. Arsenal have signed Sokratis from Dortmund. Is he the answer to Arsenal’s defensive problems? Arsenal badly needed to improve their defence following last season and Emery has clearly made that a priority this summer. I think Sokratis is a good signing and he will be a no-nonsense, traditional defender in the mould of Tony Adams rather than someone who wants to play out from the back. Sokratis is very experienced and he’s a big game player with great leadership qualities. The fact he knows [Pierre-Emerick] Aubameyang and [Henrikh] Mkhitaryan so well is a bonus too. Lucas Torreira looks like he will add a competitive edge to the midfield. Do you think he’s a good signing? I think Torreira is a very good signing for Arsenal. He has a tough competitive edge that the spine of the team has been missing. He’s also a very mobile player who is capable of getting around the pitch and I think the midfield has been crying out for that. [Granit] Xhaka has had a good World Cup, but he’s someone who needs a mobile player next to him to cover the ground he can’t. Torreira is also good on the ball and very efficient in possession. Stephan Lichtsteiner will be competing with Hector Bellerin. What do you think will happen here? Bellerin will learn a lot from Lichtsteiner, especially the vital art of defending. Bellerin is great going forwards but he lacks discipline and can often forget his defensive responsibilities. That won’t be allowed to happen with Lichtsteiner in the dressing room barking in his ear. 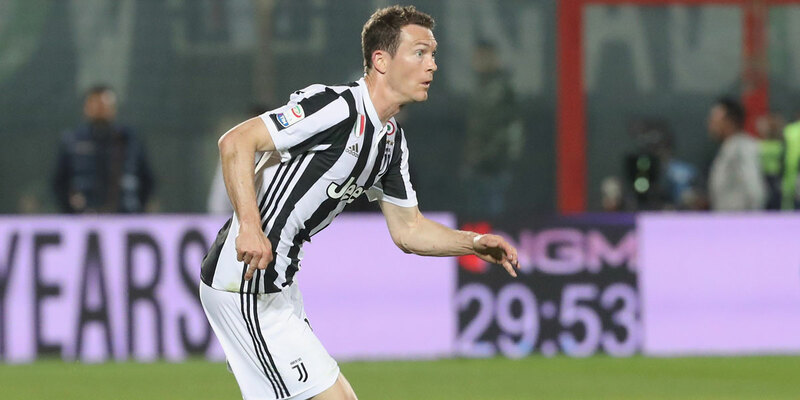 Lichtsteiner will demand a lot of respect following his successes at Juventus and his experience as captain of Switzerland. He’s also a leader on and off the pitch which Arsenal have badly needed the last few years. Bellerin has never really had competition or someone like Lichtsteiner by his side. There are reports linking Arsenal with a move for Steven N’Zonzi. Can you see him back in the Premier League? I really like Steven N’Zonzi and would like to see him at Arsenal. I think he’s a really good player and he of course has Premier League experience. I’ve been really impressed with him for Sevilla and also for France at the World Cup. If we signed him we would have to let someone go in midfield, but I’d love to see Arsenal get him this summer. Max Meyer is available from Schalke on a free transfer. Would you welcome him at Arsenal? I don’t think Max Meyer is a necessity because Arsenal already have lots of attacking options. We’ve never struggled to score goals and create goals. We’re great to watch. However, he’s a great player and you have to be interested in these types of players if they’re available and you want to be a big club. It’s a long hard season and Max Meyer may well be needed if [Mesut] Ozil or Mkhitaryan dropped off the pace. Who would be your dream signing for Arsenal? I think Arsenal still need to improve their defence, even after signing Sokratis and Lichtsteiner. They left themselves open far too often last season and it was their away form that cost them. The club needs an old school leader who will put their body on the line and demand the best from his team-mates. 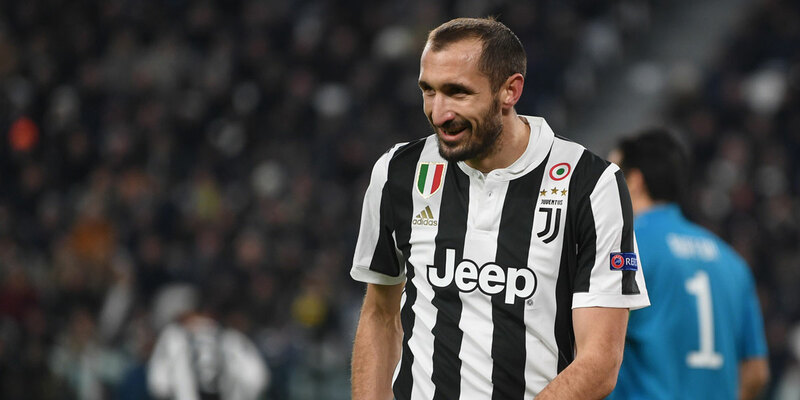 [Giorgio] Chiellini would be the dream defender, though he’s getting on a bit. Aubameyang had a very strong start with Arsenal last season. What do you think he’s capable of this season? Aubameyang will be Arsenal’s star player this season. 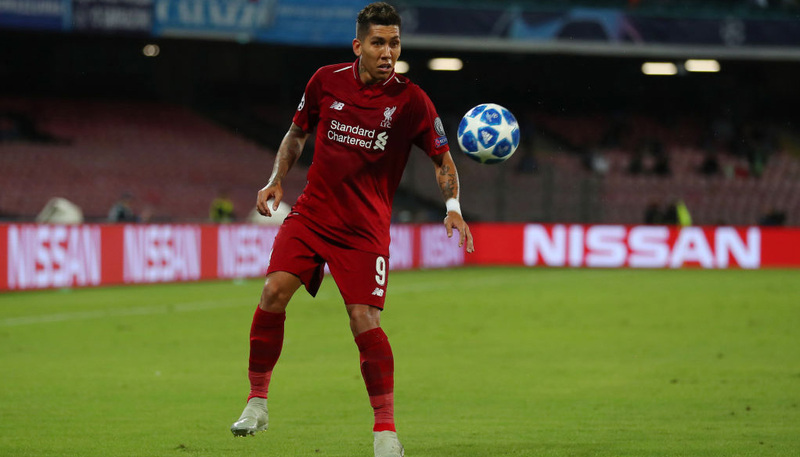 I was so impressed with what I saw last year that I think it will be him and Harry Kane competing for the golden boot. He has that incredible goalscoring instinct and he’ll get lots of opportunities with Ozil and Mkhitaryan feeding him. Aubameyang is a big character and has a lot of confidence which is key for a striker. It doesn’t affect him if he misses opportunity because he’s convinced he will score the next one. That’s the difference between Aubameyang and [Alexandre] Lacazette. Lacazette looks frightened to miss and it affects his confidence, but he also has the quality to be an important player and I hope he comes good this season. Do you think Danny Welbeck could follow Jack Wilshere, Theo Walcott and Alex Oxlade-Chamberlain out the exit door? It’s possible Danny Welbeck might look to leave Arsenal this summer. There’s a lot of competition for places and he’s at that age where he really needs to be playing every week. He’s an important asset for Arsenal coming off the bench due to his versatility, but he doesn’t have the finishing skills needed to be above the likes of Aubameyang, Lacazette, Ozil or Mkhitaryan in the pecking order. What is happening with Aaron Ramsey? Will he sign a new contract? It’s very important that Arsenal keep Aaron Ramsey, especially after already losing Jack Wilshere this summer. Arsenal need British players at the club after losing the likes of Walcott and Oxlade-Chamberlain in recent times. Ramsey would start every week and he’s well suited to a deeper midfield role next to Torreira, who can provide the platform for Ramsey to join attacks late in a similar style to Frank Lampard. Ramsey has good composure in front of goal and has a habit of performing in big games. What do you think to Jack Wilshere going to West Ham? West Ham signing Jack Wilshere on a free transfer could prove to be one of the best deals of the summer. Jack will be highly motivated to prove people wrong and show he has overcome his injury problems. He hasn’t fulfilled his potential in his career, but he now has an opportunity to play every week and become a real star at West Ham.